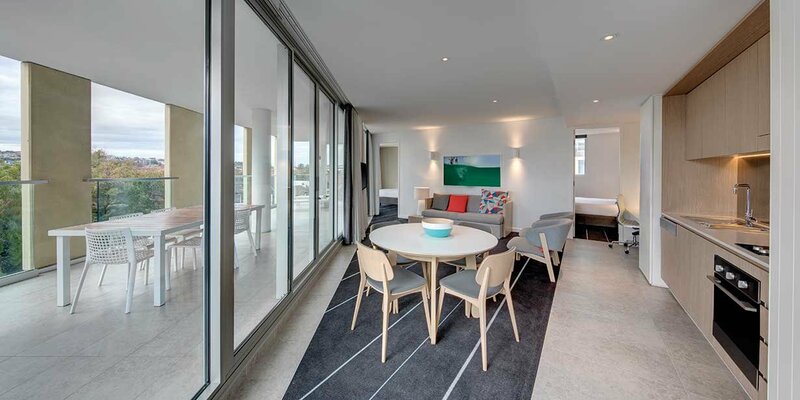 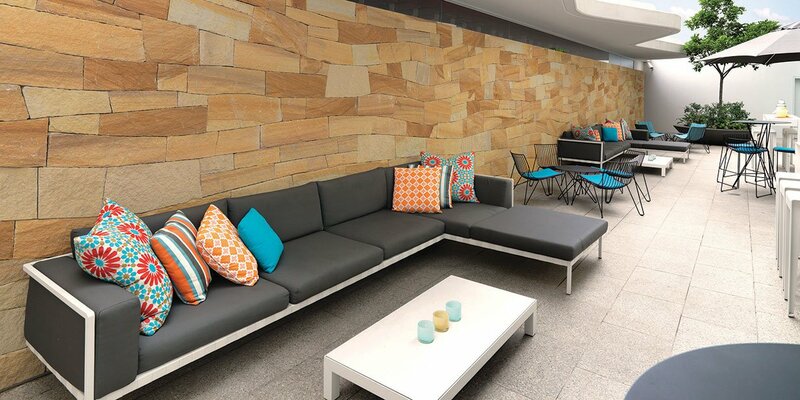 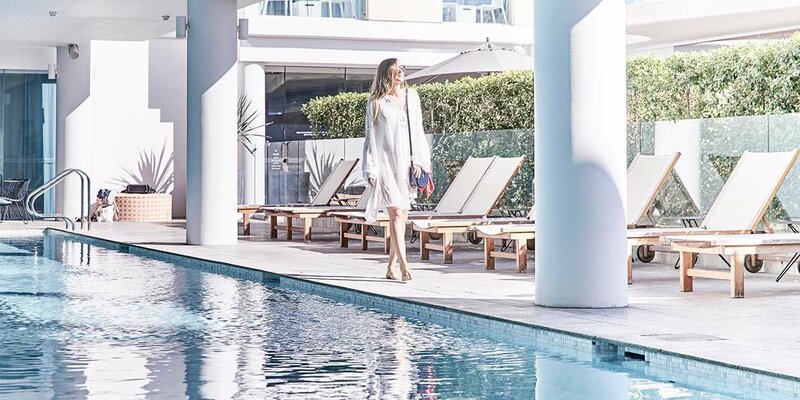 Adina Apartment Hotel Bondi Beach is ideally located just metres from Bondi Beach and only 20 minutes’ drive from Sydney’s CBD and offers an outdoor pool, a fitness centre and on-site parking. 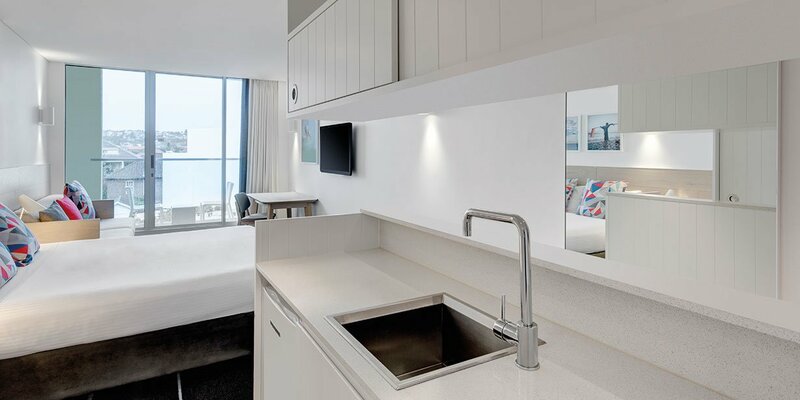 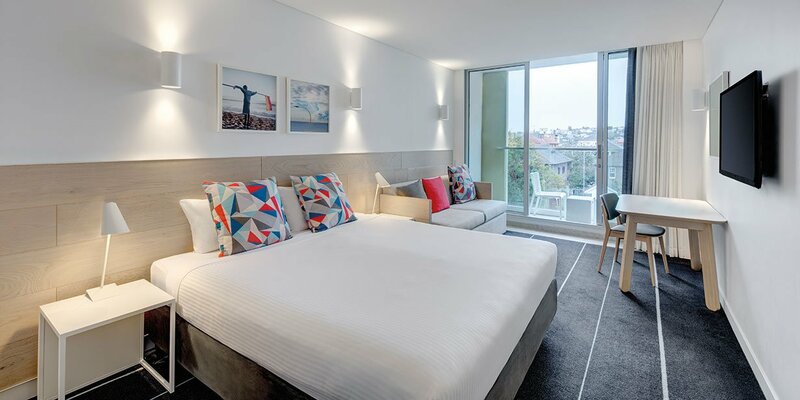 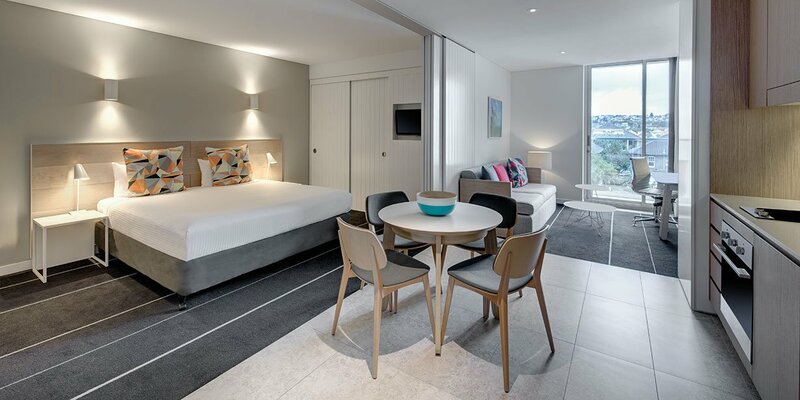 The hotel’s modern and spacious studios, one and two bedroom apartments have fully-equipped kitchens and laundry facilities, allowing you to feel right at home in the heart of Bondi, surrounded by the restaurants, boutiques and bars of trendy Hall Street and Campbell Parade. 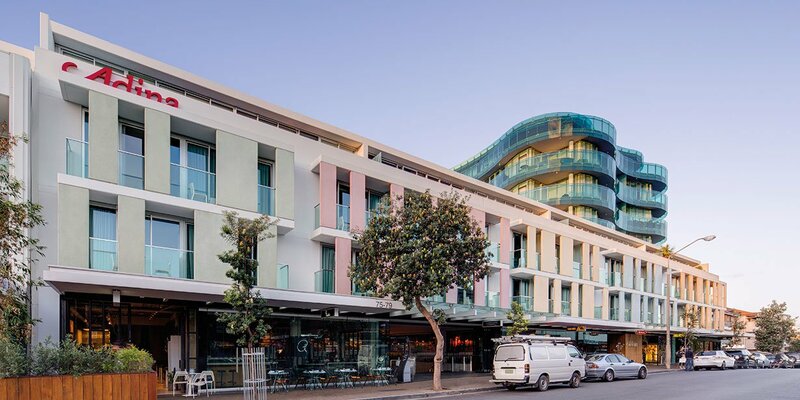 Enjoy brunch - Bondi’s favourite meal - downstairs at Bills or cook up a delicious meal in your hotel apartment with the array of fresh produce on offer at the local Bondi Farmers Market. 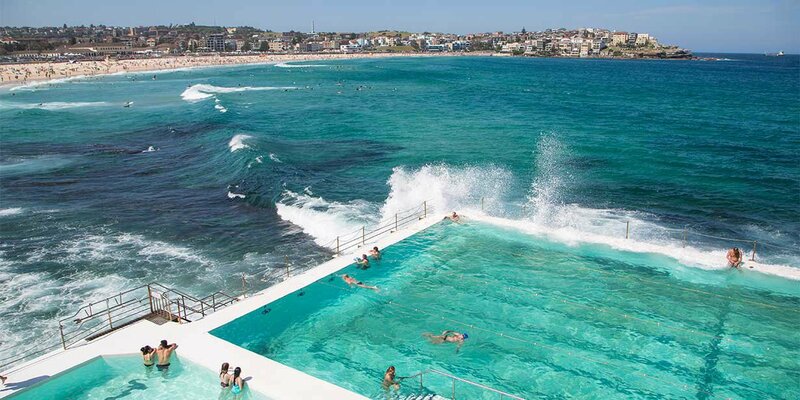 Go for an early morning swim at picturesque Bondi Icebergs, tackle the famous Bondi to Coogee coastal walk, and indulge in some of Sydney’s best drinking and dining with lunch at A Tavola or a sunset cocktail at The Bucket List. 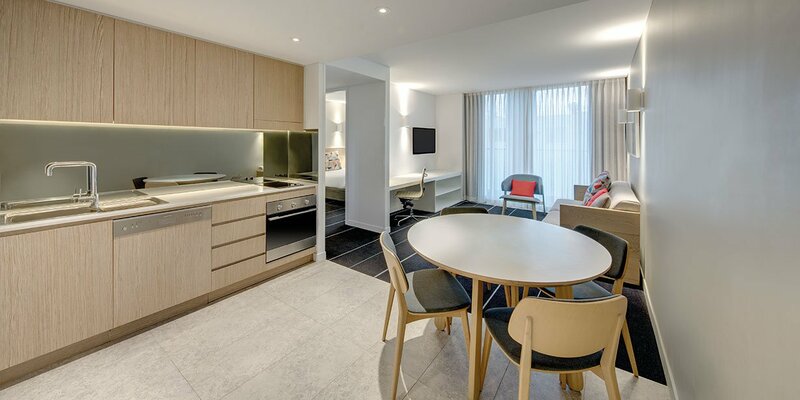 For a lazy night in, make the most of the grocery delivery service from Harris Farm and the wide selection of in-room movies. 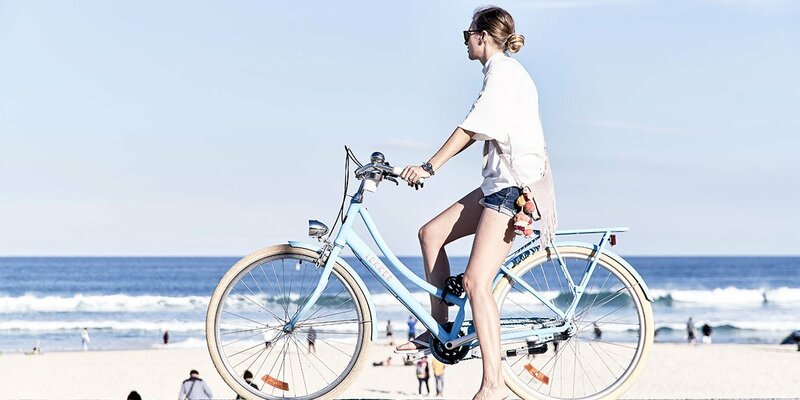 If you’re in the mood for exercise, find your zen at one of Bondi’s beachside yoga sessions or test your stamina at the annual City2Surf. 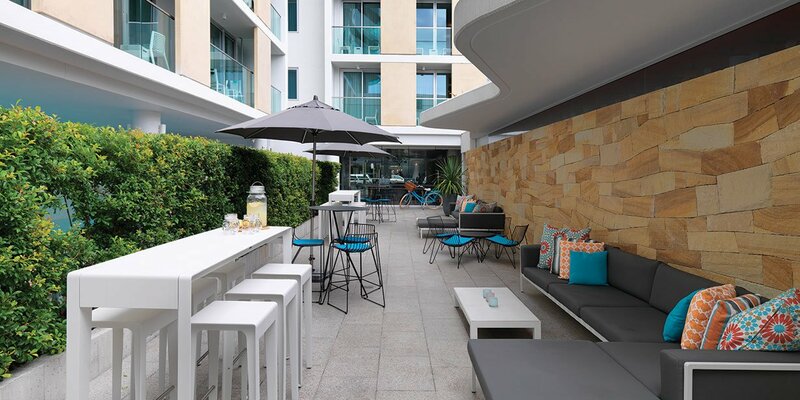 If you’re in town for the latter, make sure you celebrate your finish with a few drinks at Beach Road Hotel or North Bondi RSL. 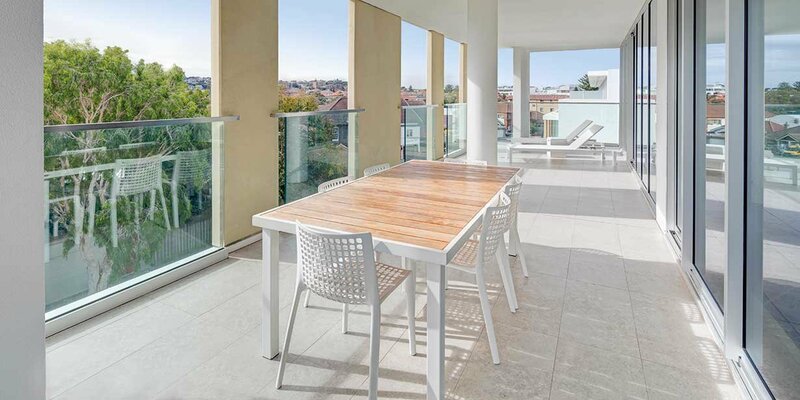 All studios and apartments have balconies, perfect for morning coffee or afternoon wine and people watching. 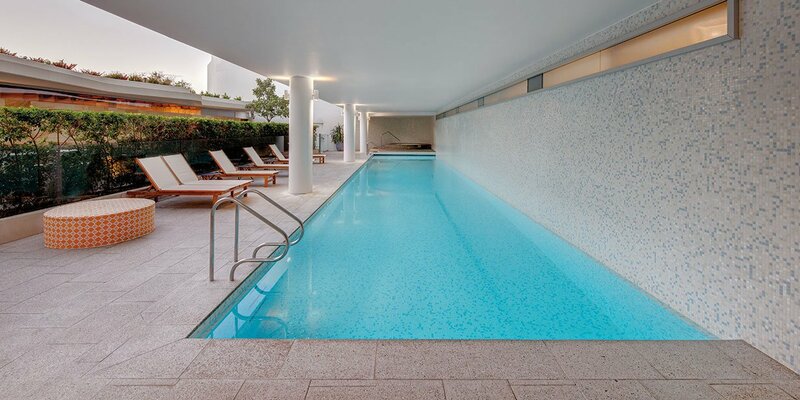 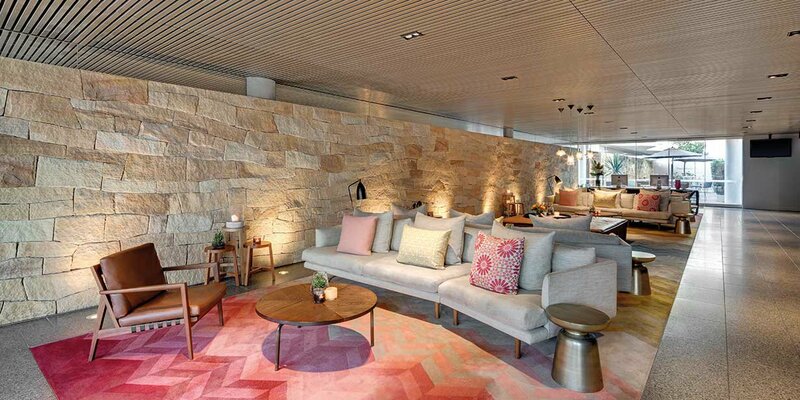 The hotel’s facilities include a gym, spa and a pool for a refreshing dip before or after your big day in Bondi. 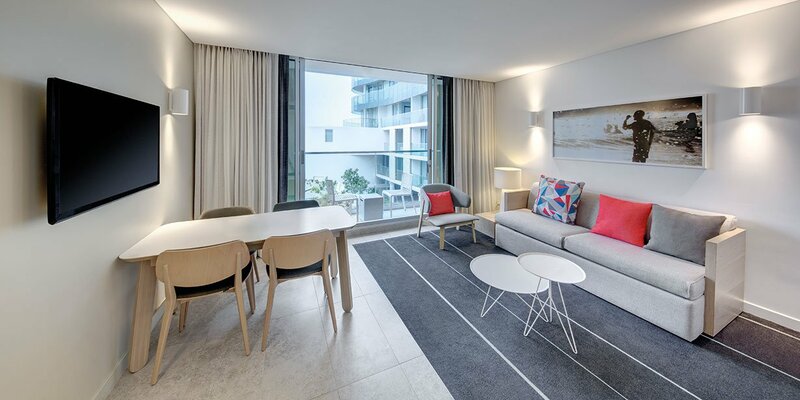 Sydney’s eastern beaches are a wonderful place to be at any time of year and there’s no better way to enjoy everything they have on offer than to base yourself at Adina Apartment Hotel Bondi Beach.